I hardly know what to do with an entire Saturday without a soccer interruption. We’ve had a rainy week. The local weather forecaster said on Facebook, “We’ve got another night of blustery, winter weather in store for us tonight San Diego,” and I’m telling you, I guess I haven’t been here long enough not to laugh because that made me laugh. 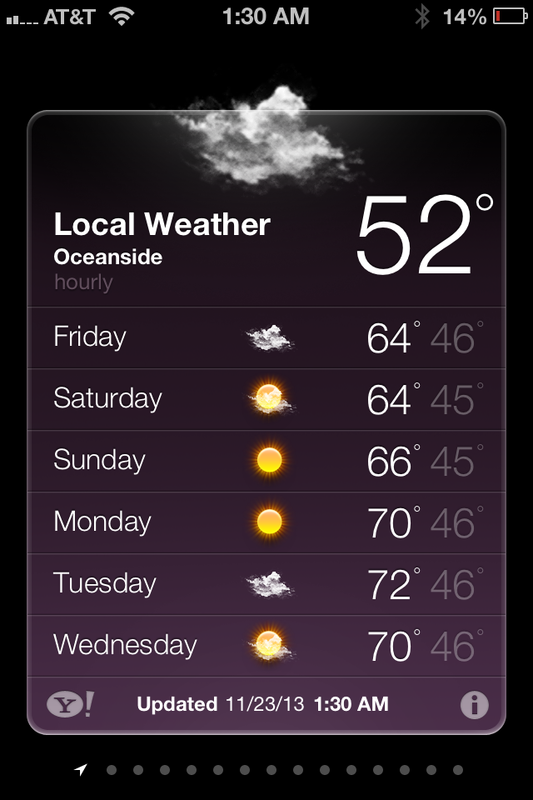 Do you know what passes for “blustery, winter weather” here in San Diego? Better find our gloves and hats and fur-lined boots! Buy some of that stuff that makes ice melt on your front steps! Our high today is mid-30s. Tomorrow, 28! In all honesty even us native Californians make fun of our weather reporters. If we get some actual rain for more than a few hours it turns into “Storm Watch 2013” headlines. I guess that’s what sells!! But it is true weather that drops into the 50s is cold for us and our thin skin!! Too funny..